A few weeks back we were asked to help out Laurie, from Tip Junkie, with an eBook she is writing. 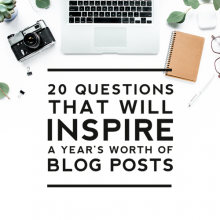 Laurie asked us for some tips about things NOT to do to your blog for her chapter called “Setting Up Your Blog For Success.” Here is what we came up with! We hope you find these tips helpful!! 1. Clutter. Don’t pack your site with unnecessary design elements and images. Less is more! 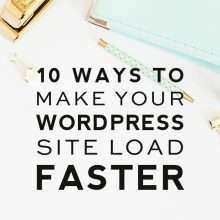 If your site takes too long to load people will get bored and go somewhere else. 2. Harsh colors and Unreadable Fonts. Stay away from loud or bold color schemes and colored post areas. Also your fonts should be readable. Script fonts are fine for logos but keep with a basic font for posts. Don’t make your audience work. They should feel comfortable while visiting your site. 3. Incompatible. Make sure your site is compatible in many browsers. Not all browsers translate CSS and HTML the same. 4. Weak Navigation. Your audience should know what your site is about the second they arrive. Nav bars and drop down menus can help with organization. People don’t want to hassle trying to find your information. But your site shouldn’t contain too many buttons either. 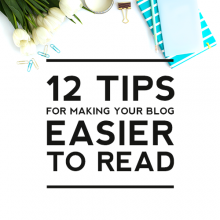 You want to give direct information without confusing your reader. I particularly embrace number two. It is just a bit distressful when you are squinting trying to figure out what word that scribble is supposed to be. Great tips. Another suggestion I might make is don't put music on it. I hate opening up a blog that starts blaring music at me. (Heck, I hate opening up most regular websites that start blaring music at me). I find that I typically leave the blog quickly to stop the music. Good tips. I was just looking at my blog with the idea of decluttering, but I haven't made any decisions. I agree with Amy's suggestion of not putting music on it. I leave my sound setting on Mute half the time because of this. Found you through Amanda @ Serenity Now.